“Markets appear to have returned to the relative calm they had grown accustomed to over the past few years. Returns for developed indices decelerated in March, as the effects of more cautious and accommodative central bank policies lose steam. The S&P 500 finished March up 1.94%, with year-to-date returns of 13.65%, marking its best quarter since ‘09. The S&P Europe 350 rose 0.92% in March, as economic data from the region continues to send mixed signals, bringing year-to-date returns to 10.90%. The Topix 150 in Japan was up 0.32% in March, bringing year-to-date returns of 7.96%. Emerging & Frontier returns continued to outpace developed markets. The S&P Emerging BMI and Frontier BMI finished March up 1.74% and 1.37%, bringing year to date returns to 10.45% and 8.82%, respectively.” according to Deborah Fuhr, managing partner and founder of ETFGI. Equity ETFs/ETPs listed in Europe saw net outflows of $846.49 Mn in March, bringing net inflows for 2019 to $10.18 Bn, substantially less than the $22.49 Bn in net inflows equity products had attracted by the end of March 2018. Fixed income ETFs/ETPs listed in Europe attracted net inflows of $6.58 Bn in March, bringing net inflows for 2019 to $19.91 Bn, considerably greater than the $3.46 Bn in net inflows fixed income products had attracted by the end of March 2018. The information contained herein is proprietary. The media is welcome to use our information and ideas, provided that the following sourcing is included: ETFGI is a leading independent research and consultancy firm covering trends in the global ETF/ETP ecosystem, based in London, England. Deborah Fuhr, Managing Partner, Founder, ETFGI website www.etfgi.com. ETFGI is an independent research and consultancy firm launched in London offering consulting services and paid for research subscription services covering the global ETF industry. Deborah Fuhr is the Managing Partner and a founder of ETFGI. 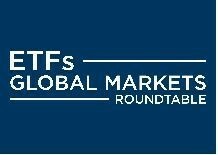 Our services are unique in their breadth and depth of coverage in monthly reports covering each region of the world where ETFs, ETPs are listed, a monthly directory and monthly fact sheets along with a database covering all global products plus you receive insights from us. Visit www.etfgi.com to learn more. The events were created by Ari Burstein, President, Capital Markets Strategies and Deborah Fuhr, Managing Partner and Founder, ETFGI. The first conference was held in 2017 in New York and expanded in 2018 to 4 events in New York, London, Toronto, and Hong Kong. The events are designed to be interesting, educational, engaging and relevant forums for substantive discussion of capital markets, business, technological and regulatory developments in the markets impacting ETFs in the respective jurisdictions. Please contact us if you have any questions or are interested in discussing sponsorship and speaking opportunities. Past awards for Ms Fuhr include the ETF.com’s 2018’s Lifetime Achievement Award, the recipient of the 100 Women in Finance 2017 European Industry Leadership Award, the 2014 William F. Sharpe Lifetime Achievement Award for outstanding contributions to the field of index investing and she named one of the “100 Most Influential Women in Finance” by Financial News over several years, most recently in 2016.